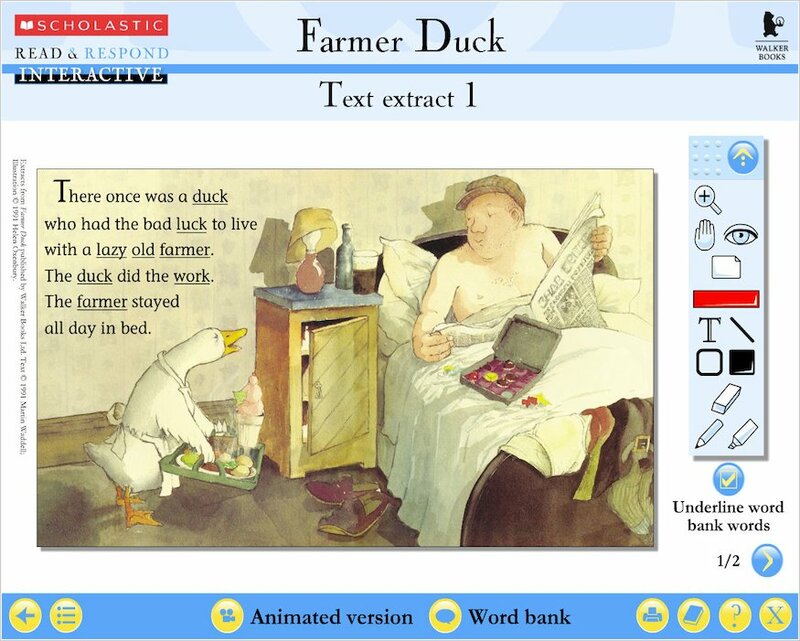 Raise literacy and attainment by bringing a favourite children’s book to life in your classroom. 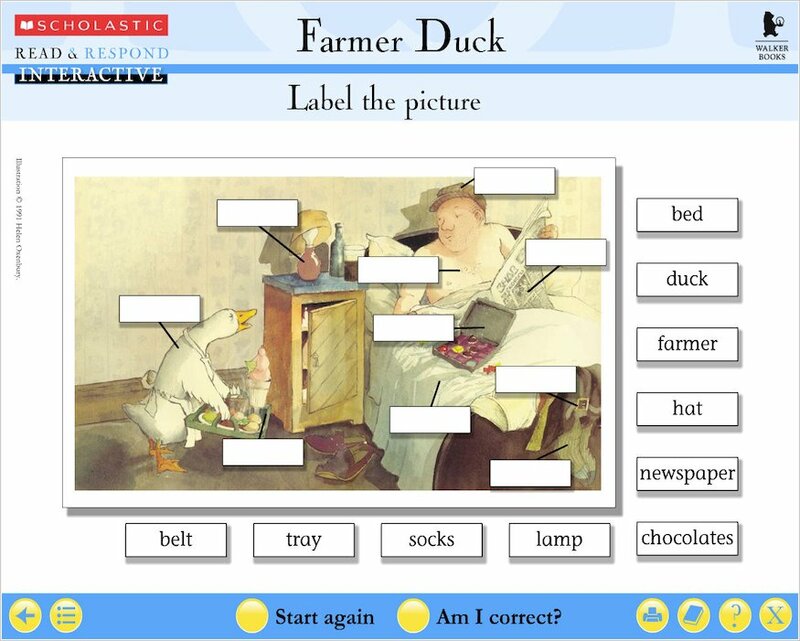 This CD-ROM is packed with time-saving resources to help you teach Farmer Duck. 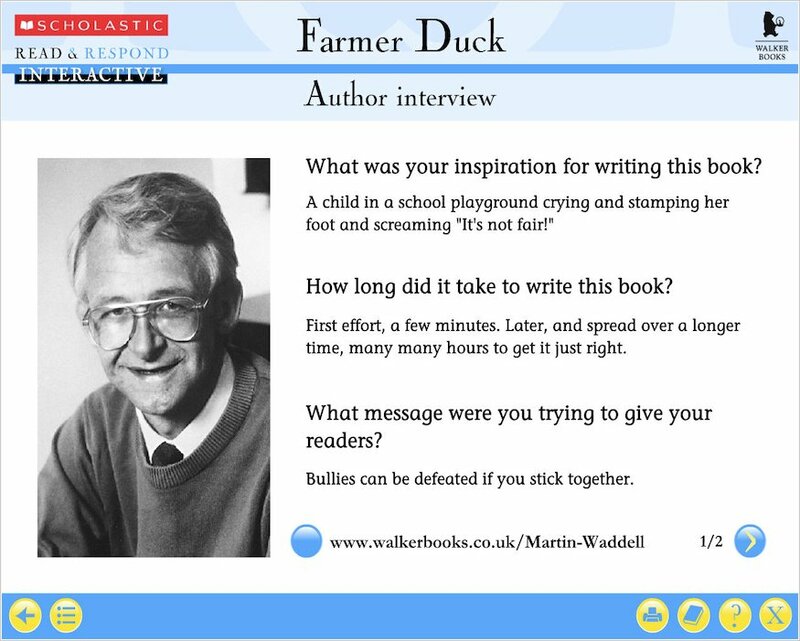 The Read & Respond series takes growing readers into the heart of popular children’s books which inspire a love of reading. 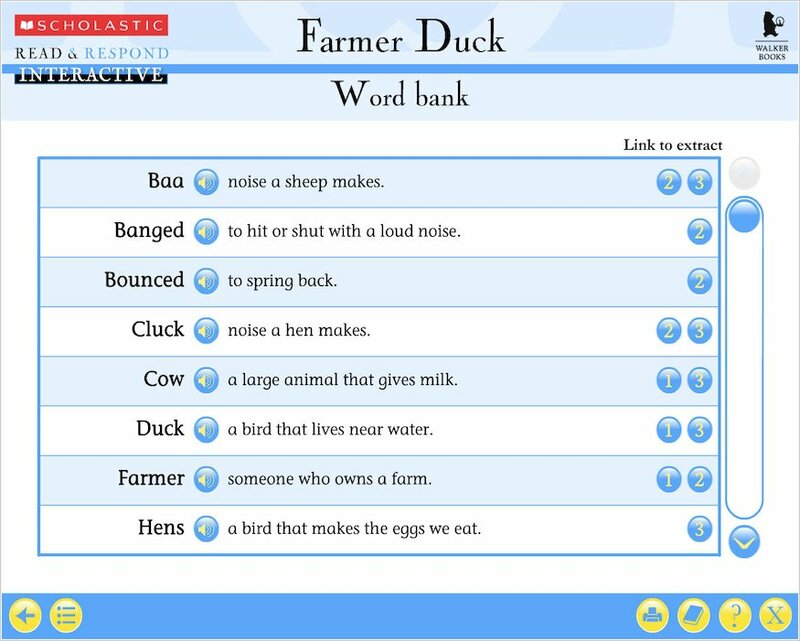 It uses group discussion, thinking games, creative writing and craft activities to engage every child with timeless stories. 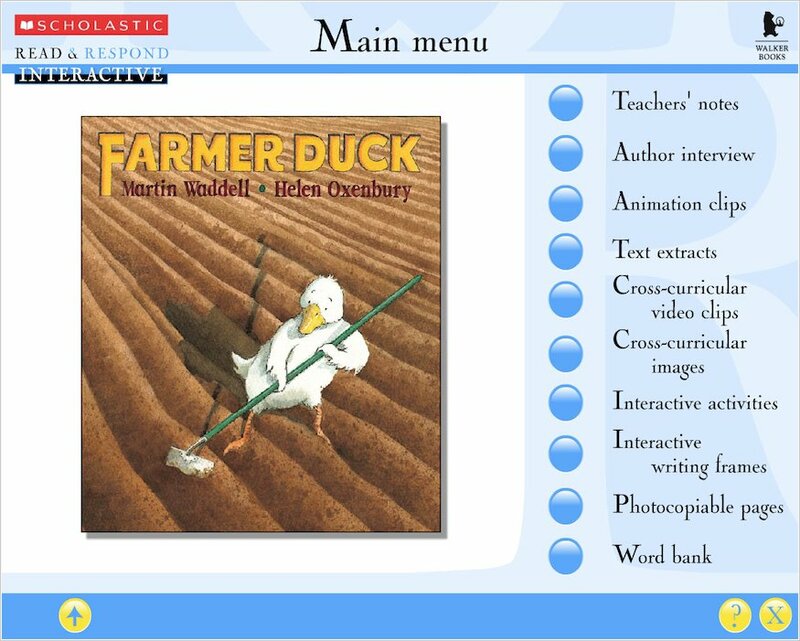 This CD-ROM is ideal for use with our Read & Respond resource books or as a stand-alone product. 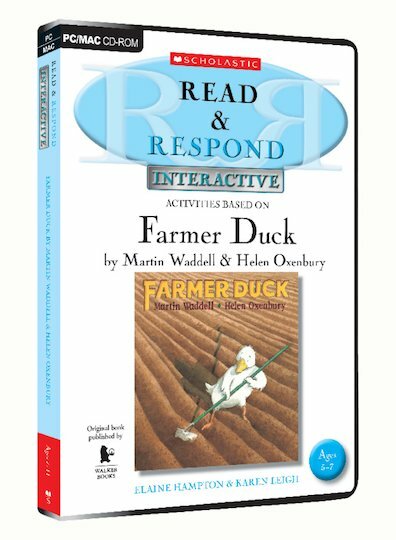 This interactive read & respond CD-ROM is an excellent resource that helps children (and adults) to take a fresh look at this well loved tale. The children really enjoyed the animated film clips- laughing as the animals wiggled under the Farmer’s bed. 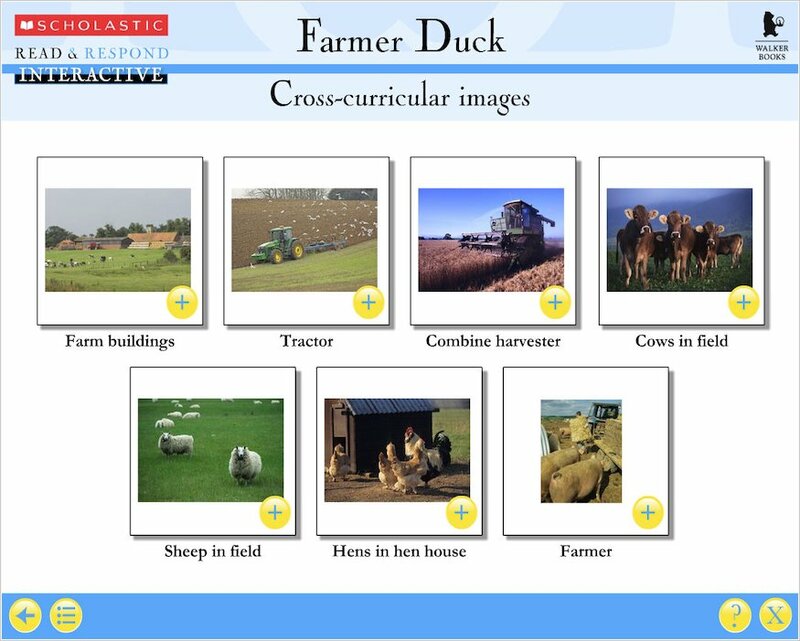 They particularly liked the different cross-curriculum video clips (of the ducks and tractor) and photographs. These were beneficial to children at different development levels allowing the children to work together (PSED) and expanding their knowledge and understanding of the world. 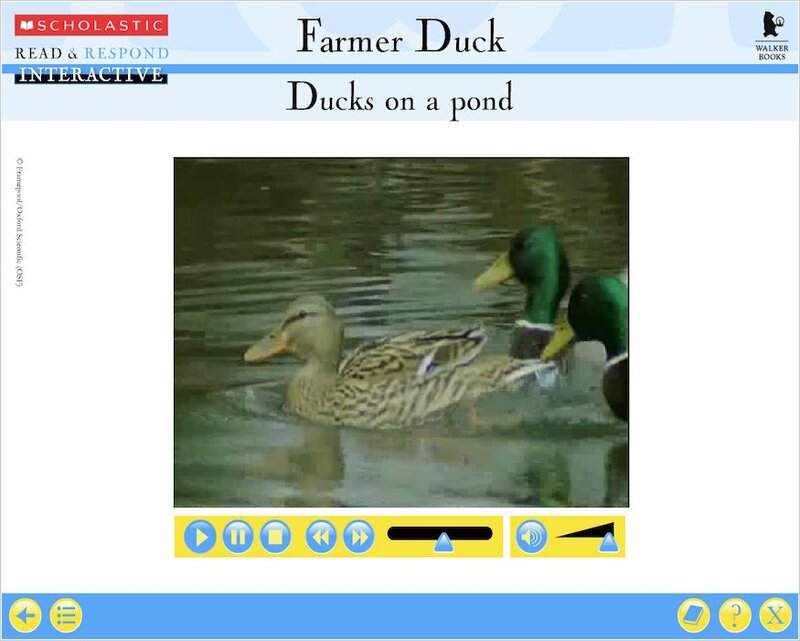 The children quickly found their way around the CD-ROM, accessing the different features including the on-screen activities. The photocopiable pages are an added bonus, along with the teachers’ notes, allowing for further activities that could be incorporated into displays or work to take home. 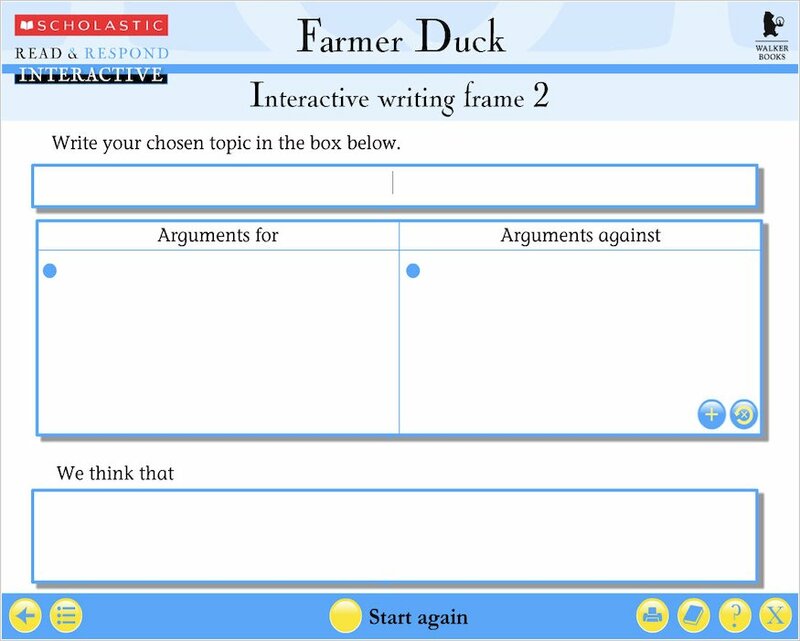 Eifron Watkinson, Addington School, Reading takes a look at Read & Respond Interactive: Farmer Duck for us. Children were engaged with the animated film clips. They wanted to play them over several times. They were able to link them to the pictures in the book. Work led onto performing a drama for other classes to watch that the children had written for themselves. 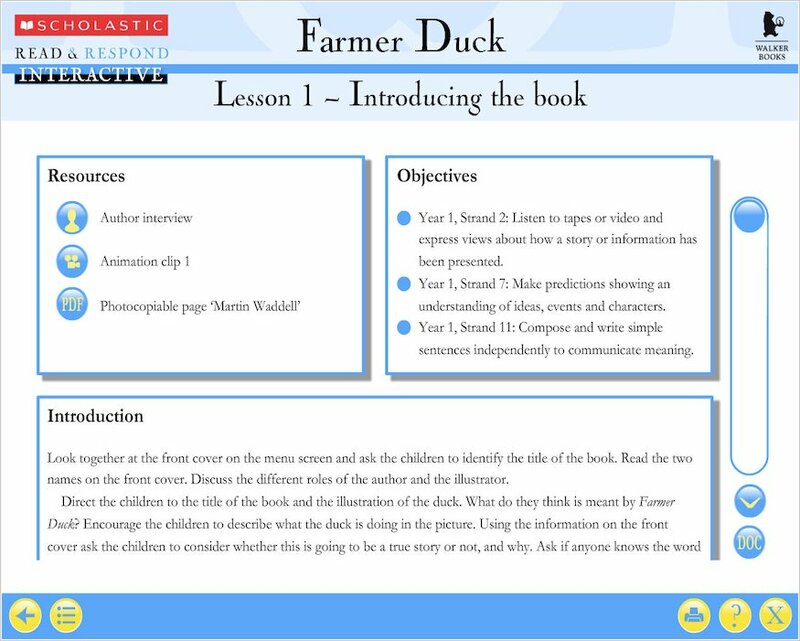 All the KS1 and Foundation Stage teachers were impressed by the resource which gave them new ideas based on a familiar book. As co-ordinator I would buy this DVD for school as it was easy to use, provided motivating activities for staff and pupils and saved a lot of planning time. I was able to use this supplemented by symbols from Widget programme. Great fun to use.